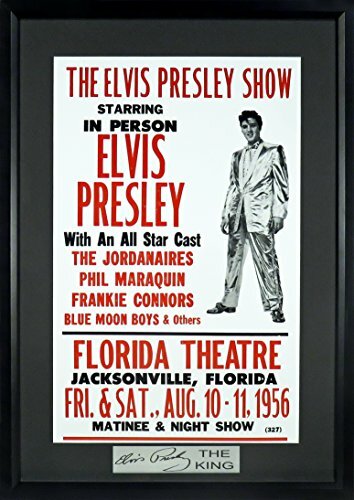 Replica vintage concert posters are intentionally designed with “vintage” imperfections and measure 27 1/4″h x 19 1/4″w including frame, smaller than a typical movie poster and the perfect size for wall hanging. 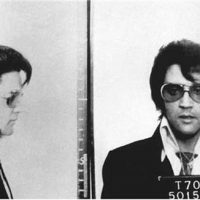 They are quality framed in black wood and colored matting. 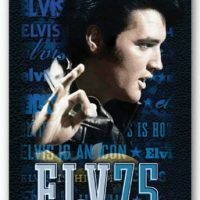 Part of our very cool SGA Signature Series, this presentation includes an engraved facsimile Elvis Presley signature plate w/ “The King.” A unique gift for any Elvis fan! 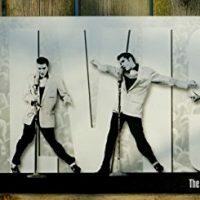 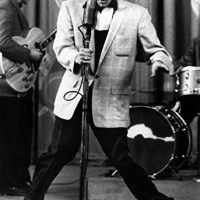 Be the first to review “Elvis Presley 1956 Concert Poster (SGA Signature Series) Framed” Click here to cancel reply.